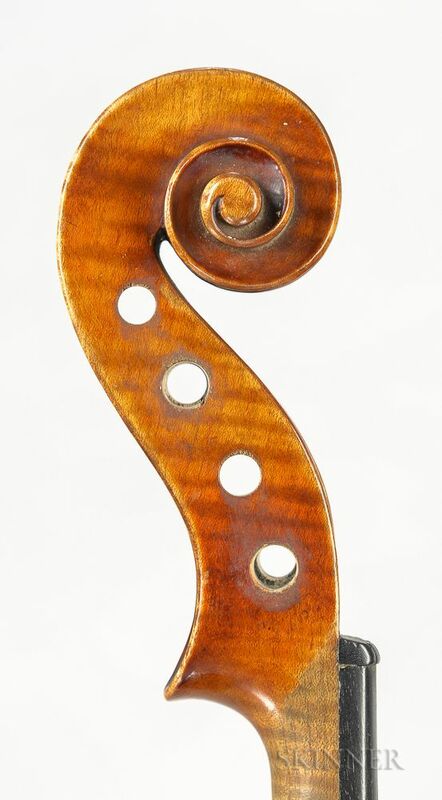 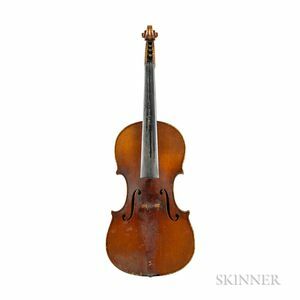 German Violin, labeled Joseph Guarnerius fecit/Cremonæ anno 1733 IHS, length of back 353 mm, with case and bridge stamped O.H. BRYANT. Open top cracks, open seams.